TECA enclosure cooler air conditioners include “ECO Mode”, a revolutionary energy (and cost) saving feature. In ECO Mode the air conditioner acts as a heat exchanger during low demand times, using up to 95% less energy. This reduces the amount of active cooling needed which in turn reduces operation cost. 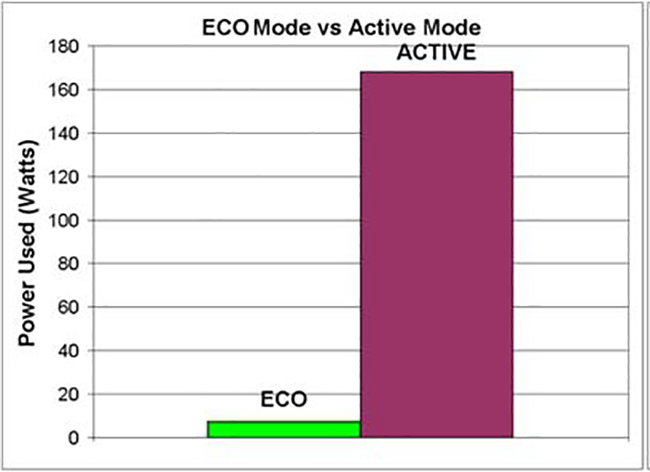 Eco-Mode is available in the majority of TECA’s products, including many legacy models. Example: TECA Model AHP-470, 80% power consumption reduction in ECO-Mode.